A long while ago, when I was a young, precocious and naive girl filled with a fanciful imagination, I used to think up movies in my head. They'd end up getting far too complex and ambitious, and then I'd flag that possible masterpiece, and move on to the next creation. They weren't complex in the way that say, Inception is complex. They were complex in the way that they were essentially three or four movies in one, connected by the tiniest of threads. When I sat down to watch Derek Cianfrance's sophomore effort The Place Beyond the Pines, I was prepared for this movie where Ryan Gosling and Bradley Cooper would face off for, you know, the entire movie. Alas, The Place Beyond the Pines instantly reminded me of the movies I used to work tirelessly on in my brain - and this is not at all a bad thing. It is the kind of film that is thorough in its complexity, sometimes to a fault. This is not the sort of film where Ryan Gosling plays the tattooed rebel and Bradley Cooper plays the cop trying to bring him down. It is about much, much more than that. This is essentially three films in one, with the first act focusing on Ryan Gosling's motorbike riding Luke Glanton trying to provide for the son he had with Romina (Eva Mendes), which he does by robbing banks. 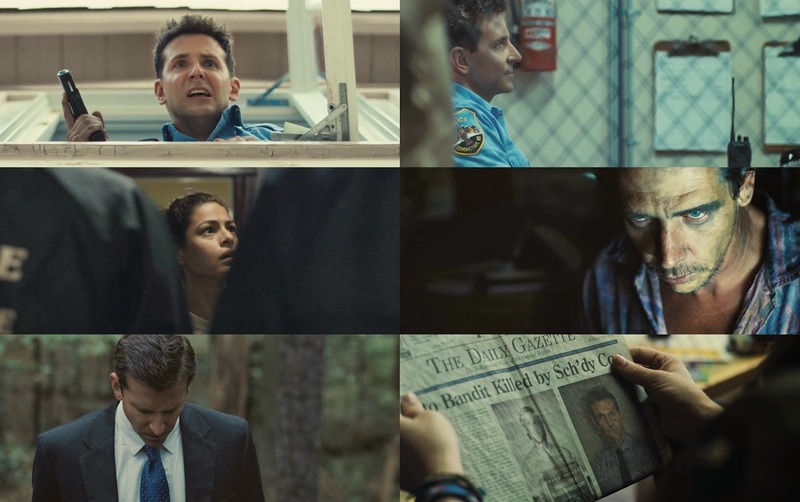 The second act focuses on Bradley Cooper's hero cop Avery Cross, as he tries to get back into the force after his big act of 'heroism'. 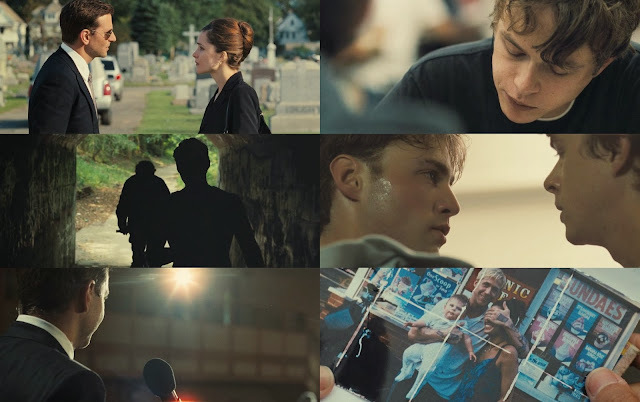 The last act focuses on Luke's son, Jason (Dane DeHaan) and Avery's son, AJ (Emory Cohen), who cross paths fifteen years later, and the film looks at how their fathers past affects them. This is all potentially loose sort of narrative material, which could've been crammed into two parts, or scrapped the last part altogether. However, the beauty in The Place Beyond the Pines is that it splays the story out over three parts, so each of the very different parts can be fully realised. It is just as well that it was dealt to in this way, because Cianfrance has a lot of ideas on the go. Maybe a little too many, but it is better to have too many than not enough. 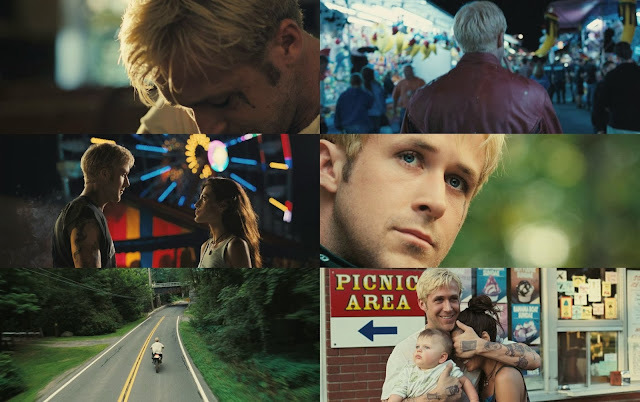 The Place Beyond the Pines works most because it is ambitious. Not in the way it uses technology, or aims for a super long running time or something out of the ordinary, but in the way that it aims to comment on so many different themes and wind them up all into one story. No, it isn't perfect. I don't particularly think the story involving Ray Liotta's character really served the main narrative as much as Cianfrance perhaps wanted it to, and it wasn't as closely tied as the rest of it was (and I don't say this because Liotta and I have a strange relationship). But it was as realistic as possible. Our lives aren't movies. 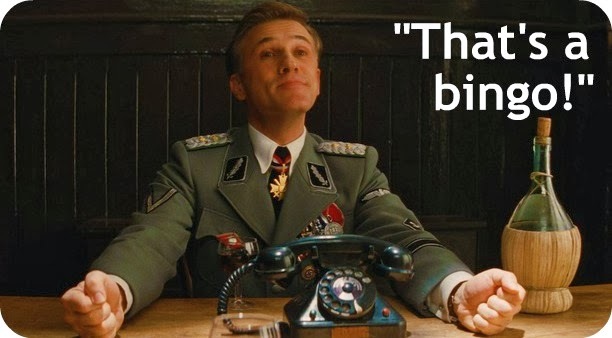 Movies have the luxury of editing lives into narratives. The Place Beyond the Pines doesn't feel like it is made up from some fantastical dream world that will give us all of the answers to humanity. It just happens to feel like something that is real. Particularly the final act, which really floored me when I first saw the film. Instead of leaving the film with just Ryan Gosling and Bradley Cooper, it dares to look at the consequences that resonate through the years. Though both Romina and Avery tuck the past away, it is interesting to see what they treat as a fragment of the past comes back to the surface in the present to their two sons. Of course, the film wouldn't have been near as effective if we didn't have the parts that just focused on Luke and Avery, but I felt like the film really came to fruition in that final act. Ambitious, yes, but it was this certain kind of uniqueness that could make The Place Beyond the Pines either wonderful to some or tiring to others. Luckily, I fell in the former category, particularly due to the great performances from Emory Cohen and especially man of the moment, Dane DeHaan. Sure, this isn't perhaps as closely tied as a narrative as Blue Valentine was, but there's such an enigmatic beauty about this film. It has a lot to say, and doesn't choose to take out ideas in order to have an easier viewing experience. Ryan Gosling, Bradley Cooper and Eva Mendes are on the top of their games here, shedding their considerably glossy movie star exterior to create real characters, in this wonderfully life-like (well I think it is, anyway) film. Double Cianfrance's down-to-Earth writing with some brilliant cinematography by Sean Bobbitt, who is perhaps most famous for being the man behind the camera on all of Steve McQueen's films, and here's a film is different because it dares, without being overt about it. Ambition bleeds through every frame of this film. And at the end of the day, it's ambition that keeps everything moving forward. Good review Stevee. The cast is great and do all that they can with this material. However, once that final act shows up, you can tell that the steam has been lost. Great review! I finally rewatched this, and I really loved it on a second viewing. The three-act structure worked a lot better, and Cooper's performance improved for me. The score is brilliant too. Avery inevitably tries to turn the cash into the head of police, who rejects him, and says he wouldn't like to get included or see Avery advise on his partners. Taking after the exhortation of his dad, a resigned judge, Avery copies a kindred officer asking him to unlawfully expel cocaine from the confirmation locker Avery is regulating. Avery utilizes the recording to uncover the illicit practices in the police office and weights the head prosecutor to contract him-–a graduate school graduate–-as a partner lead prosecutor.